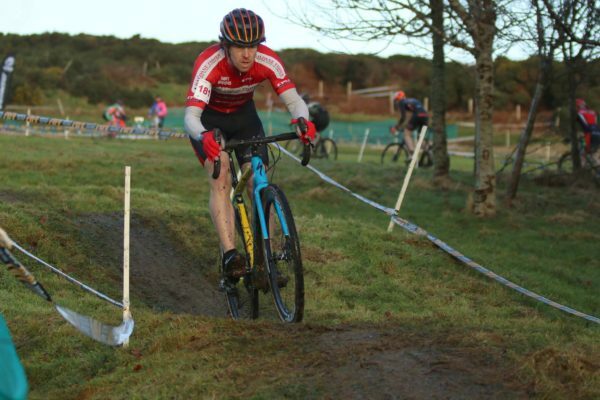 It was a day for the young stars of Irish cycling to step out of the shadows and take elite titles at the National Cyclocross Championships. Darnell Moore and teenager Lara Gillespie took gold in the elite men’s and women’s races respectively. In a discipline dominated by a relatively small group of riders for years, their victories represented something of changing of the guard. Moore showed his class on a tough day for racing and simply cannot be ignored by the national selectors any more. 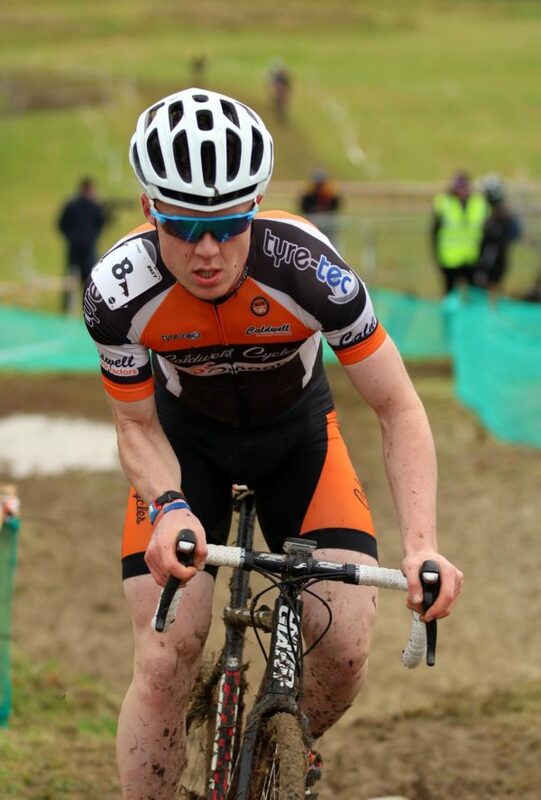 He won the Shay Elliott Memorial last year and also won the National Hill Climb Championships. And now he’s a double champion having taken the ‘cross title. David Conroy of Scott-Eurocycles was home from a stint of racing in Belgium to fight for the title. 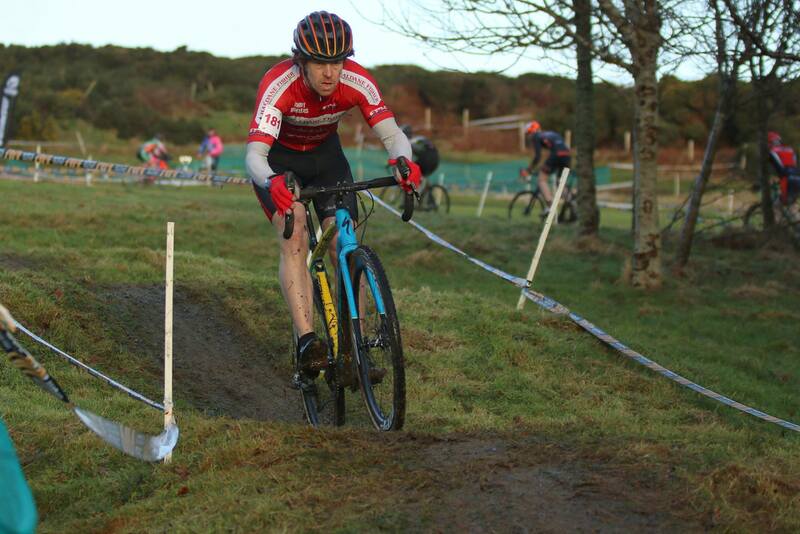 But having made the early running with multiple MTB champion Gareth McKee of Banbridge, Conroy was forced to settle for silver. Both Conroy and the eventual winner would pull well ahead of the rest in the closing stages. Graham Boyd of McConvey Cycles put on a great display behind in a bid to close them down. But on a breezy day in Glencullen there was no catching the leaders. And in the end Moore prevailed over Conroy. Behind them Boyd took a well deserved bronze medal in the championship race. Glenn Kinning (Kinning Cycles) and former champion David Montgomery (Unattached) were also in the mix just behind. In the women’s event Lara Gillespie has, once again, shown just how exciting she is as a prospect for Irish cycling in the years ahead. Last July, aged just 16 years, she took a silver medal at the European Youth Olympic Festival in Hungary. She has been no stranger to the top step on the podium on the cyclocross scene this season. And she again made sure today when it really matter. 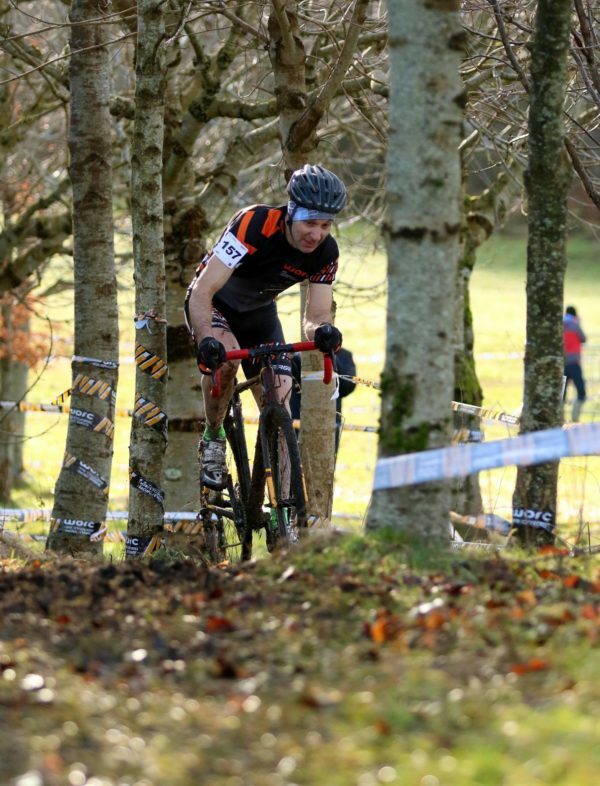 A great shot by Toby Watson captures Robyn Seymour powering his way to yet another Irish title. Teenager Lara Gillespie proved too strong for the more seasoned campaigners in the field. And, like men’s champion Moore, we look forward to seeing her in the green of Ireland on the international stage very soon. 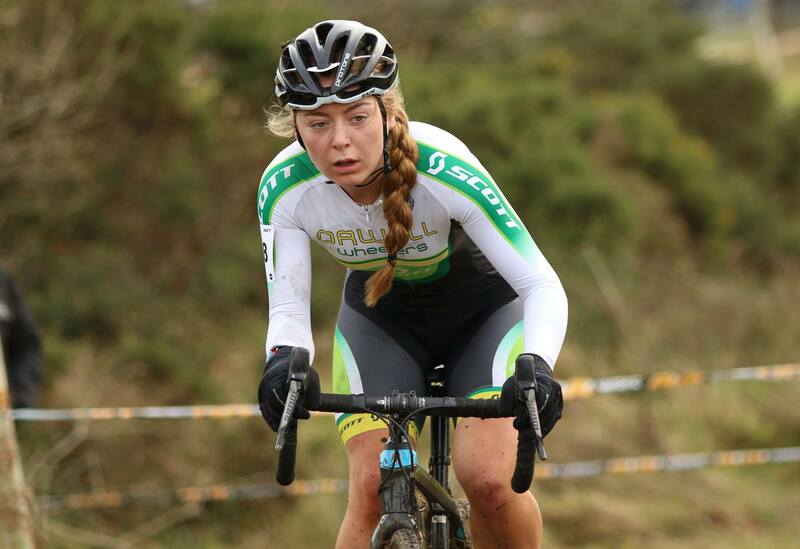 Michelle Geoghegan (Team Jadan-Weldtite) took the silver medal in the elite women’s race. Maeve Morrogh (Defence Forces) took the bronze. Thomas Creighton (McConvey Cycles) won the junior title. Archie Ryan (O’Leary Stone Kanturk) was 2nd with Adam McGarr (Biking.ie) in 3rd. In the Masters 40 race the off-road master Robin Seymour (Team Worc) retained his crown. 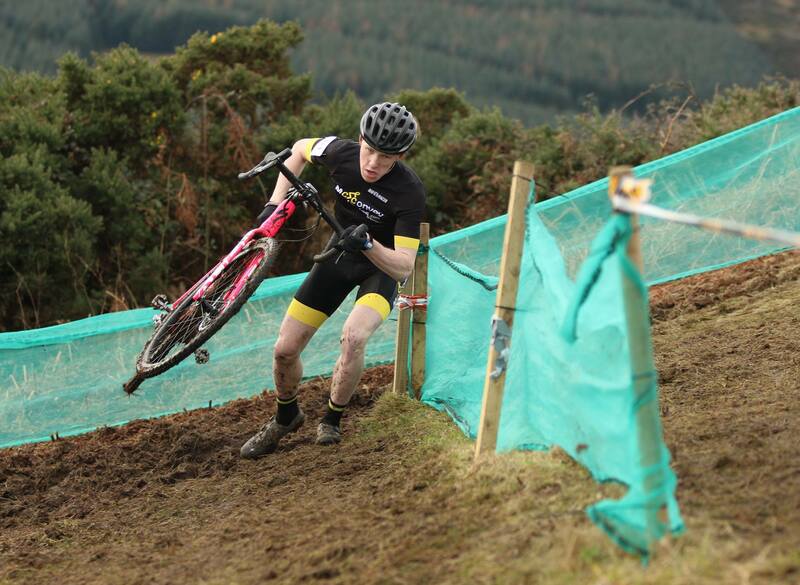 He saw off the challenge of Kevin Keane (Unattached) and Alan Bingham (Cuchulainn CC). The Masters 50 event also saw a title retention; the ever-impressive Des Woods of Newry Wheelers winning out. He claimed the Irish championships gold from John Dorris (EPIC) and Michael Jordan (Unattached). Terry O’Neill took the Masters 60 race though that was not a championship event.